Your pet is another member of your family, and no one can love it as much as you do. Part of that love is ensuring that it receives the best veterinary care possible. If it gets sick, it can be very stressful as you will not only be worrying about your pet’s well-being, but also about the vet bills that will accrue. Obesity is not only an issue for humans, but it’s also for animals. The Association for Pets Obesity prevention released a report indicating that 57% of all cats and 44% of all dogs in the United States are obese or overweight. If this statistic is anything to go by, then about 80 million cats and dogs are predisposed to a variety of health conditions that are linked to obesity. Such conditions include high blood pressure, diabetes, and certain forms of cancer. Treating such health conditions can be costly. The costs, however, are avoidable. You can greatly reduce the risk of such diseases and the costs associated to treating them by maintaining a healthy lifestyle for your pet. This includes keeping your adorable pet on a healthy diet. Diarrhea and vomiting are some of the most common reasons why most pet owners take their pet to see a vet. Besides causing discomfort to your pet, these unpleasant conditions create needless vet bills. What most pet owners don’t know is that these common problems are generally attributed to poor diet and wrong choice of pet food. Premium pet food is the most ideal option as it contains better quality ingredients. Most of the premium pet foods are complete and balanced, ensuring that your dog gets all the nutrients it requires depending on what breed it is and what life stage it’s at. You don’t need to go to cities away to find high-quality dog food; Walmart’s gourmet pet food selection combined with a few coupons will do the trick. There’s no doubt that nutritional supplements are wonderful for humans. Just like humans, pets can also benefit greatly from nutritional supplements, more so because animals experience many of the same ailments and diseases that humans experience, and they also require additional supplements during pregnancy or as they age. In addition to a healthy diet, nutritional supplements for pets can help sustain good health throughout each stage of your pet’s life. Supplements containing omega-3 fatty acids and vitamins, for instance, can help promote your lovely pet’s immune system, making it less susceptible to illnesses. The less frequently you take a trip to the vet’s office, the more money you get to save. No matter how healthy your pet looks, it still needs regular medical examinations. If your pet is aged between 1 and 6 years, it’s recommended that you take it for a standard annual physical exam. If it’s more than 7 years old, it’s recommended that you take it for a standard annual physical exam plus simple urine/blood tests. Additionally, you should monitor your pet’s health by keeping an eye out for signs of illnesses, such as weight loss or change in behavior. If you detect even a slight change in your pet’s behavior or appearance, be sure to call your vet right away. Regular check-ups and early detection of diseases will cost way less than a major procedure down the road. One of the preventive measures you can take to reduce the risk of vaccine-associated diseases is to ensure that your dog gets the necessary shots. Ensure that your dog gets the first 3-year vaccinations, including hepatitis vaccine, parvovirus vaccine, and distemper vaccine. By preventing serious pet conditions through vaccinations, you will avoid the costs associated to treating them, thus save in the long-run. Pet insurance is not only a great option when you have an older animal or one with chronic illness or severe injury, but it’s also an excellent way to be proactive when you have a newly adopted pet. 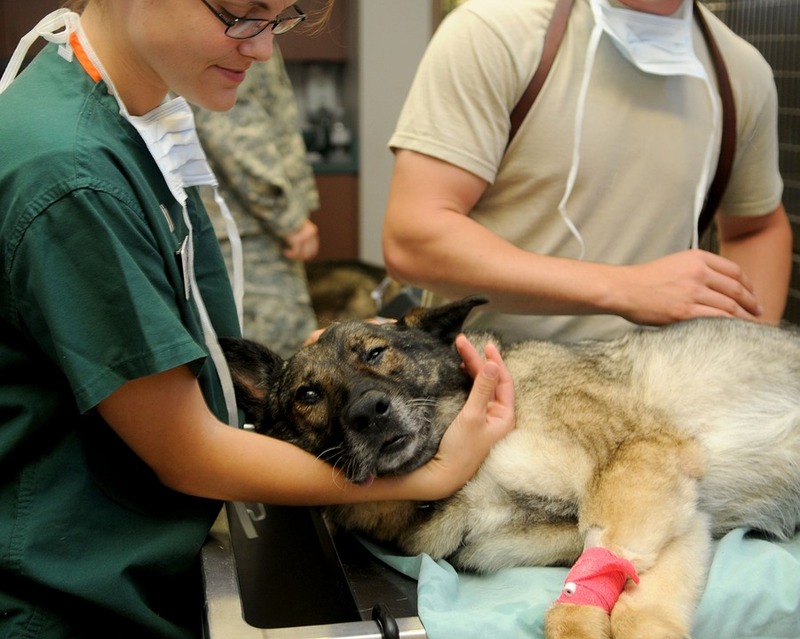 When you purchase pet insurance you will be adequately preparing yourself for the unexpected. Luckily, there is a huge variety of new major medical coverage plans that you can explore. These plans have low annual premiums, making them quite ideal for you if on a budget. When choosing a coverage plan, be sure to compare different plans to find the one that’s best suited for you. Depending on your budget, you can get one that covers basic emergencies, or one that covers all types of care. Be sure to ask your vet to recommend a specific insurer that’s easy to work with.